After missing out on its best chance of a first F1 title in over a decade, Ferrari lost patience with Maurizio Arrivabene. Has the Scuderia finally found the man to lead it back to F1 glory? Mattia Binotto is the latest man tasked with returning Ferrari back to its former heights in Formula 1. Monday’s announcement that Binotto will replace Maurizio Arrivabene’s with immediate effect at Ferrari - its third change of team boss in the last five years - marked the dawn of a new era for F1’s biggest entity. A case can be put forward that Arrivabene’s departure from the Italian squad does not come as a huge surprise. The decision followed reported rising tensions from within Ferrari’s ranks and a power struggle amid its latest failure to return to winning ways in a sport in which it boasts more success than any other team. The 61-year-old Italian, previously part of the senior management at Ferrari’s long-term partner Philip Morris, took over at the helm of Ferrari at the end of the first season of F1’s V6 hybrid era in 2014 and helped improve the team’s fortunes after a lacklustre start to the new cycle of regulations. But back-to-back title collapses in 2017 and 2018 proved the final straw for Arrivabene, with last season - in which Ferrari had the fastest car for much of the year - proving the most damaging. A combination of errors from Sebastian Vettel and team mistakes ultimately overseen by Arrivabene led to Ferrari throwing away its best chance of winning silverware since its last title triumph in 2008. Failure is not an option for Ferrari and Arrivabene was to act as the team’s fall guy on this occasion, following the likes of Marco Mattiacci and Stefano Domenicali before him who also faced the axe. Towards the closing stages of last season he batted aside talk of a potential exit as “fake news” but in reality he had already begun to tread the path out of Maranello. And so the next man to take up the reins at the Prancing Horse is Binotto - who has been credited for playing an instrumental role in Ferrari’s recent revival and ability to challenge Mercedes in the last two years. Under his previous role as technical director, Binotto was viewed as a key architect in Ferrari’s rapid power unit gains, putting the Scuderia in a position to match (if not move ahead of) V6 engine leaders Mercedes, having trailed the German manufacturer by some margin at the start of the current era. There is an understanding within the paddock that it was actually Binotto, rather than Arrivabene, who had the bigger impact on Ferrari’s rejuvenation. Swiss-born Italian Binotto, 49, is predicted to inject new ideas and a fresh management style compared to his predecessor. During his own tenure, Arrivabene was known for firmly putting up the defensive shutters in the face of failure and implementing a heavily closed approach to the world’s media. 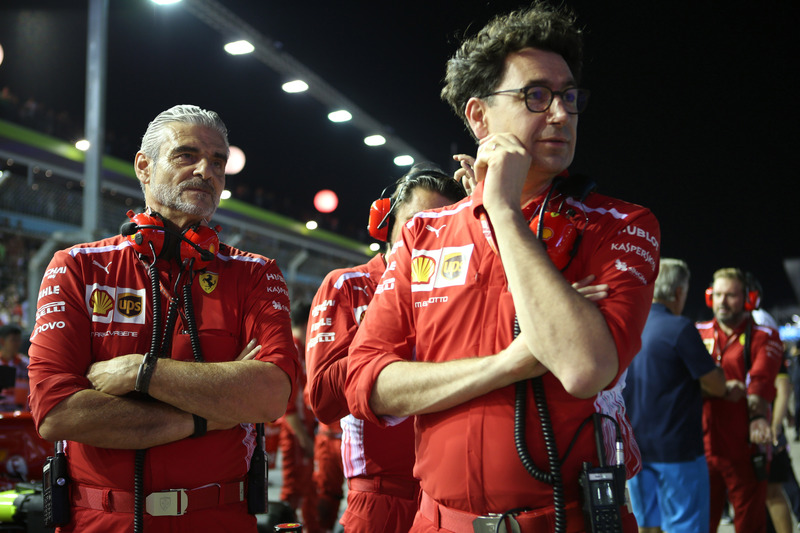 Binotto is trusted with avoiding the same kind of pitfalls that plagued Arrivabene’s watch in 2018. Operationally, Ferrari faltered on a number of occasions throughout the year. 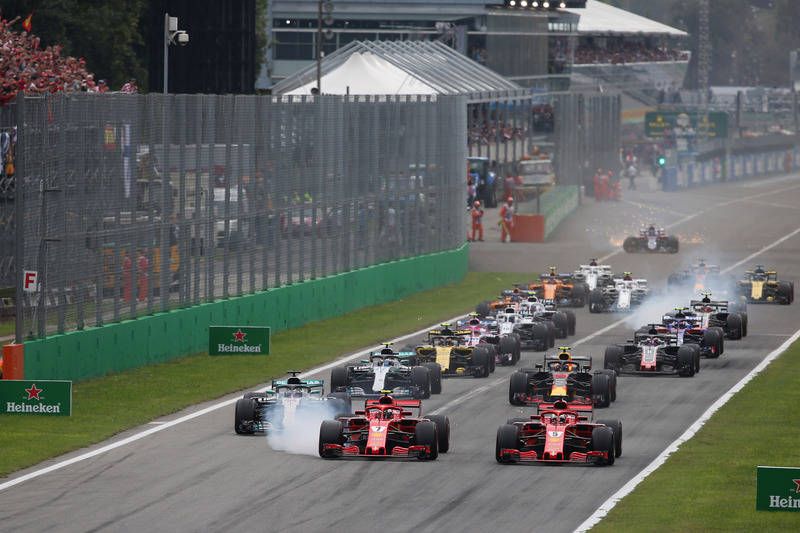 The refusal to use team orders at crucial stages of the season - a far cry from Ferrari’s former willingness to favour one driver other another - such as failing to capitalise on a front-row lockout at Monza, subsequently opened the door for Lewis Hamilton to opportunistically strike a hammer blow to Ferrari on home soil. It later transpired that Ferrari had opted to tell polesitter Kimi Raikkonen over the course of the Italian Grand Prix weekend that it would not be retaining him for the upcoming campaign, a move that might have inadvertently backfired by providing the Finn with new-found determination to put himself first in a bid to finish his second spell at the team on a high, which he did by ending a five-year winless drought in Austin. In contrast, Mercedes made its intentions of backing Hamilton evidently clear once he became the team’s obvious title contender. Orders to move Valtteri Bottas aside in Russia so Hamilton could take victory and open up a healthy buffer over Vettel were controversial yet clinical in their nature. Meanwhile, a wrong direction taken on the development path in the red corner acted as yet another roadblock in Ferrari’s fading hopes, ultimately speeding up its title derailment. Comparisons can be made between Binotto and Ross Brawn’s respective progressions up the order at Ferrari. Both Binotto and Brawn come from technical and engineering backgrounds, with the latter going on to mastermind Ferrari’s dominance of the early 2000s, aided by the brilliance of Michael Schumacher, who won five of his seven drivers’ titles in the famous scarlet red overalls. Binotto’s meteoric rose has seen him go from test engineer to team principal in the space of 16 years. The Ferrari glory days now feel something of a distant memory and the task facing Binotto is no small feat. His previous achievements will swiftly be forgotten if things do not quickly go to plan in the unforgiving environment and intense Italian pressure that comes with the territory of leading Ferrari. “When one doesn’t win a world championship that had seemed very winnable, it’s inevitable that questions are asked in order to understand what went wrong,” Brawn concluded after the season-ending Abu Dhabi Grand Prix. “When the team in question is Ferrari, then the question is not just asked at the top but it becomes almost a national question in Italy. That is despite Arrivabene helping to turn Ferrari back into a force that has been capable of winning grands prix, claiming regular pole positions and emerging as genuine championship contenders. It is safe to presume, then, that Binotto’s target is set at nothing lower than sealing that as yet elusive 32nd championship title. His promotion to team principal coincides with a changed driver line-up at Ferrari, the first in over four years. Highly-rated protege Charles Leclerc, whose back-to-back title victories in GP3 and Formula 2 and an impressive rookie F1 campaign with Sauber earned him a speedy graduation to Ferrari, joins four-time world champion Vettel as the Scuderia looks to prevent Mercedes from matching its all-time record of six successive titles won between 1999 and 2004. Ferrari has been further bolstered by the arrival of ex-FIA sporting director Laurent Mekies, who will take up a prominent role under Binotto’s new leadership and help to oversee sporting operations of the team, as well as being responsible for the management of the driver relationship between Vettel and Leclerc - an important area that has been suggested was not particularly well-handled by Arrivabene. Ferrari’s latest roll of the dice aligns with the vision held by Ferrari’s late former chairman and CEO Sergio Marchionne, whose death at a key stage of the season was highlighted by Vettel as having an impact on the team's gradual fall from championship favourites to runner-up spot. Marchionne was a firm admirer of Leclerc and a leading influence behind the 21-year-old’s promotion, while it is also believed Marchionne had already decided that Arrivabene did not fit into his long-term plan of elevating Ferrari back to its best. Binotto’s promotion on the eve of the new campaign - with the season-opening Australian Grand Prix taking place in just over two months - signals a change in philosophy at Ferrari and one it hopes will prove to be the missing piece in the jigsaw required to finally knock Mercedes off its perch. Time will tell if Binotto can return Ferrari to its former levels but the move should provide clear direction and a much-needed calm to the team as it looks to avoid another storm in 2019.